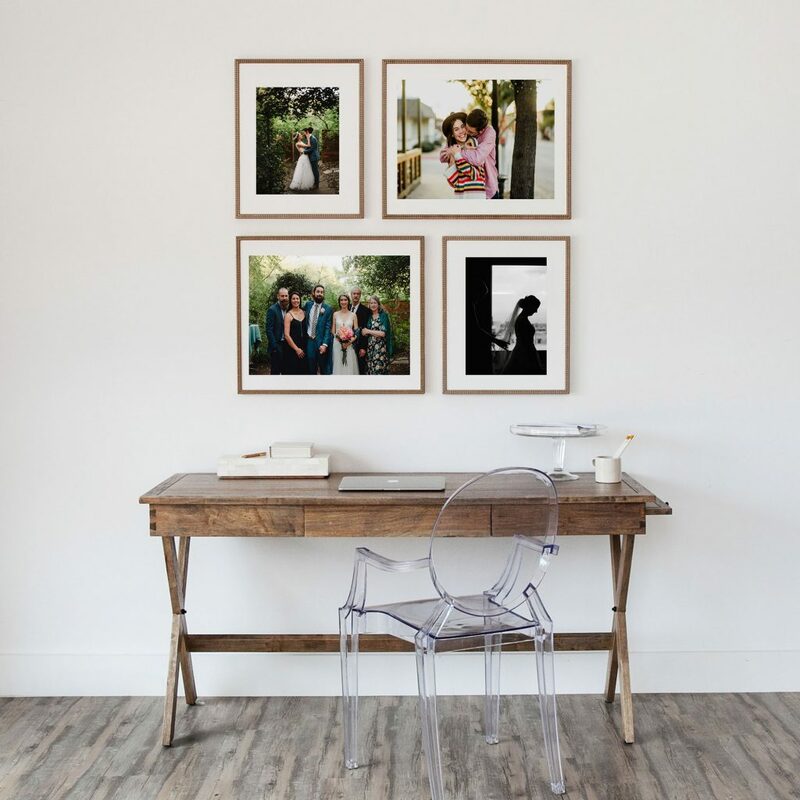 In this digital age of smart phones, Instagram and digital storage it’s easy to forego printing anything. 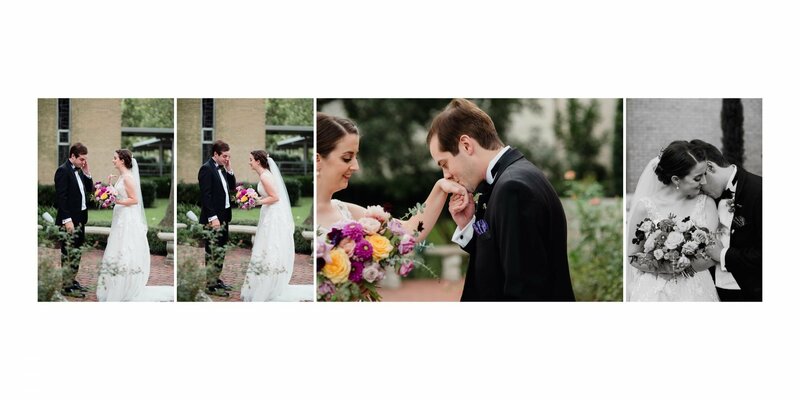 Even though each wedding includes digital files, there is nothing quite like seeing the story in a collection like a book. 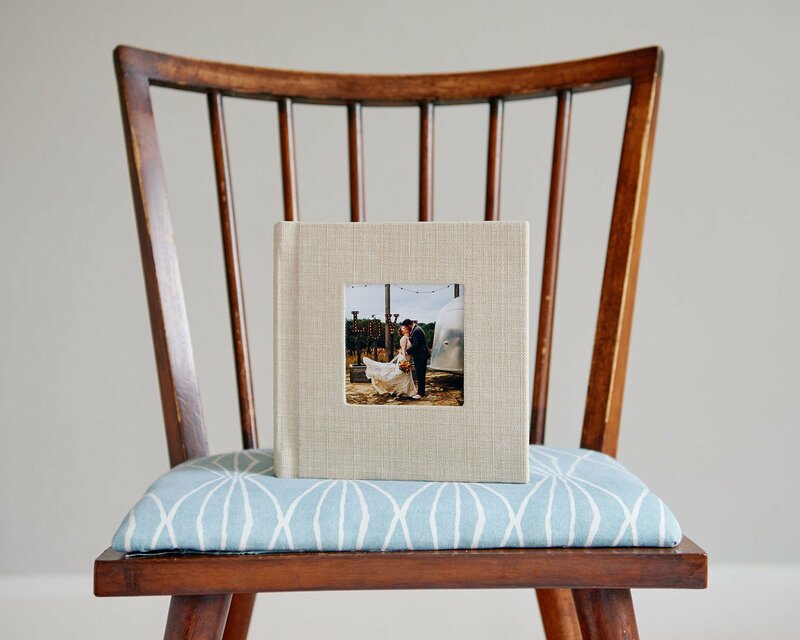 Prints and albums encourage you to take pause and look back on a life well lived among family and friends. Imagine passing this album around at Thanksgiving, for future generations to remember and re-live the happiest day of your life and all the emotions it brings. I want to make this as easy for you as possible so let’s get started. 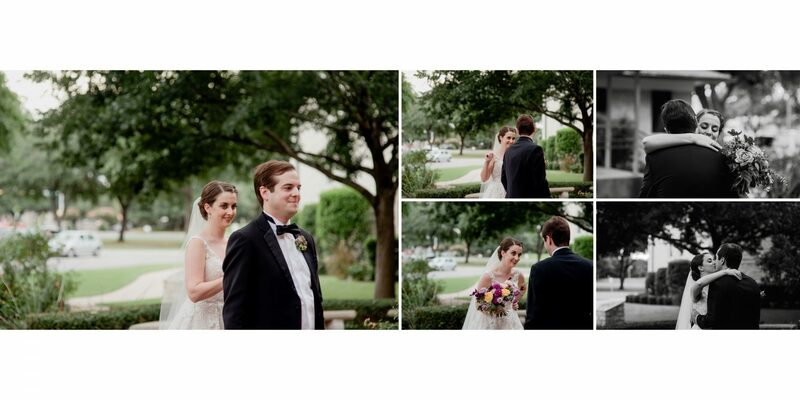 Start by selecting and favoriting your “must haves” in your gallery. I recommend you aim for 30-50 depending on how “big” the day was. Once you’re done, just shoot me a note letting me know you’ve finished and I’ll get to work on designing your book. The base number of spreads you can have is 15 and we’ll use that as a starting point. I take the time to design the photos so they tell a complete story so nothing gets forgotten, and often end up with a few extra spreads. I do this sometimes because I never know exactly what you may want shown in your album, and I want to give you a visual idea of how the day looked through my lens. Your album may end up with anywhere from the base number of spreads to an anthology, depending on the day’s activities, details and number of photos taken. However, the max amount of spreads the heirloom albums can hold is 40. The album design process is a collaborative one and these prices and page numbers are guidelines. We’ll work together to make sure your investment in the album is a perfect one. 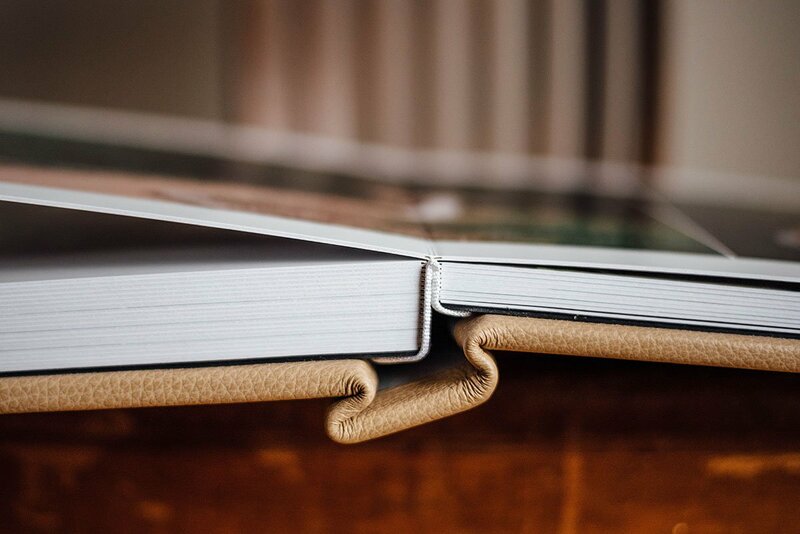 Pages are folded across the seam, not cut, for a seamless panorama of images. 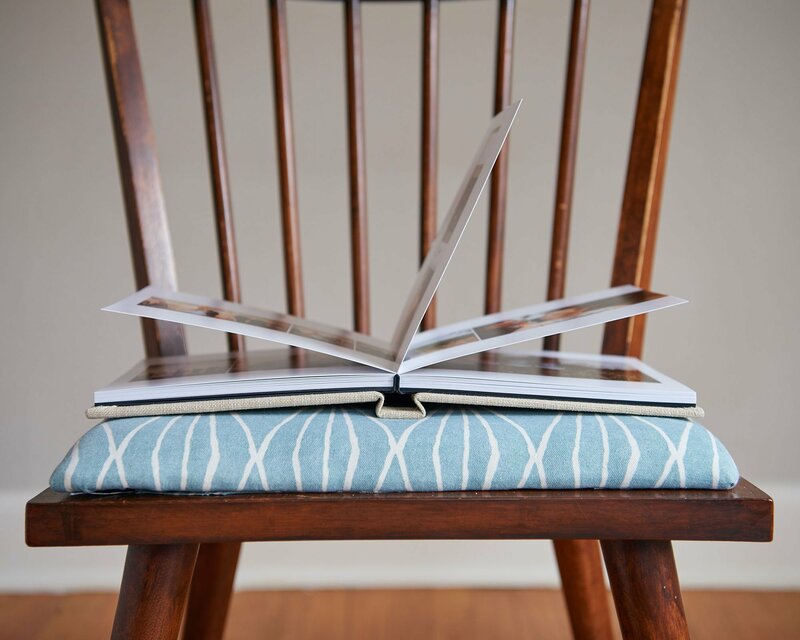 Each book is sewn by hand with ultimate attention to detail and care from a small company in the US. These albums are the highest quality, top of the line books that will last forever. Standard leather and fabric and a cameo or standard debossing is included in the base cost, however, luxurious upgrades like suede, French linen and custom debossing are available. Once you sign off on the inside of the book, you choose the outside and what you want it to be like. I’ll send a mockup for your approval before it goes to print. After that, it’s about 4 weeks to get it printed and bound. All orders are shipped to me first for inspection and photographing before it goes to you. If you’re local to Austin we can meet up in person for hand delivery. Your photos deserve to be seen off screens and in your hands and I believe this is the only investment that increases over time. During our meeting, I will bring my samples so you can take a look and feel the materials in person and picture your own wedding. If you’re out of the Austin area, I’m happy to ship you the swatches so you can see them more closely in your home. 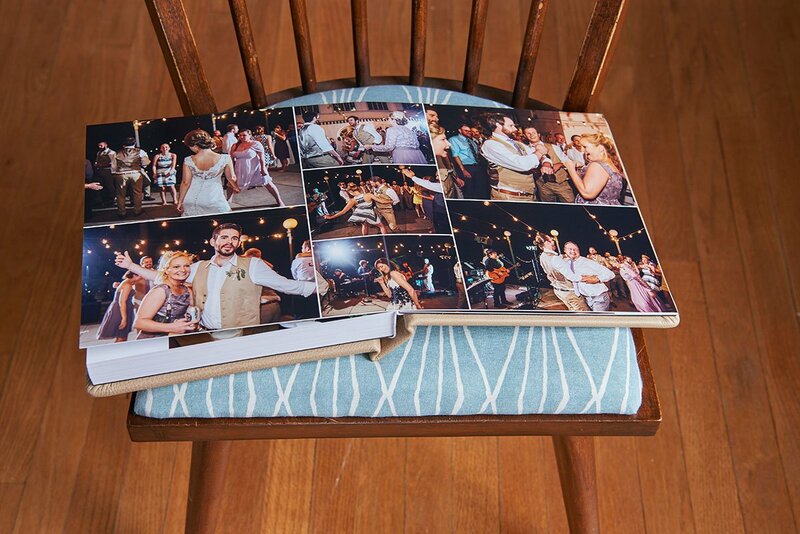 The base Heirloom Album: 10×10″ 15 spread (20 page)- $1200 + tax. Most couples spend about $1800-$2200 with upgrades. 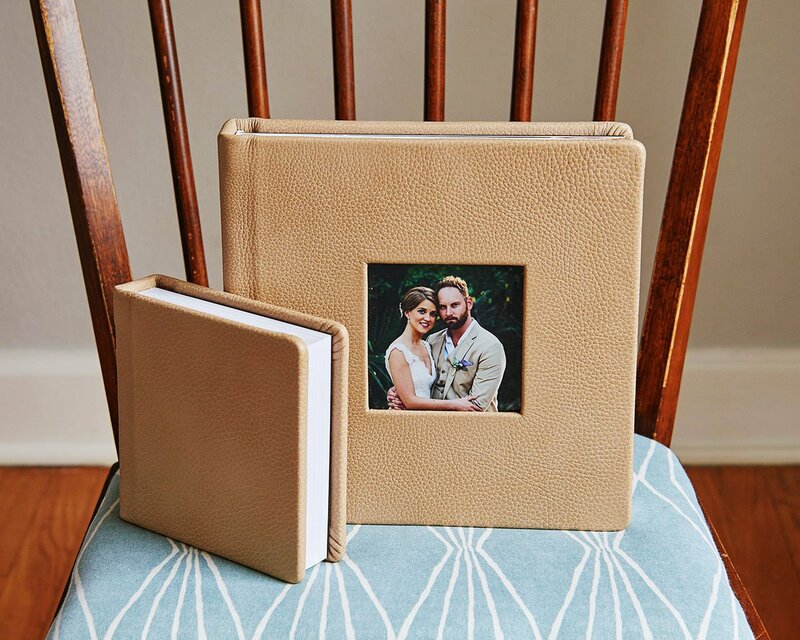 The Basic Album is an option for couples looking to get a book but are on a tighter budget. Manufactured by machine and a with less options than the Wedding Album it is also smaller and lightweight. The Basic Album has thinner, flexible pages but is still printed on archival photographic paper. 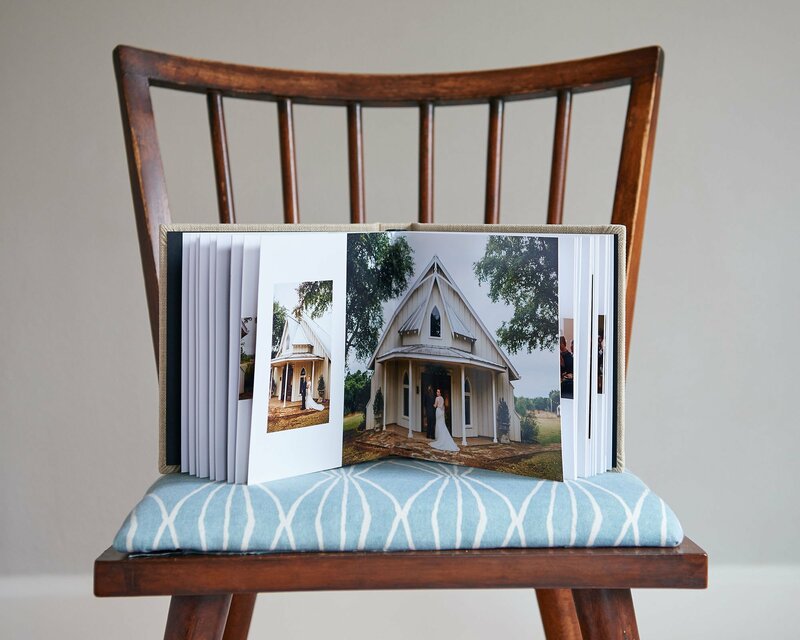 The 8×8 inch size is also used for parent gift albums and elopement albums. 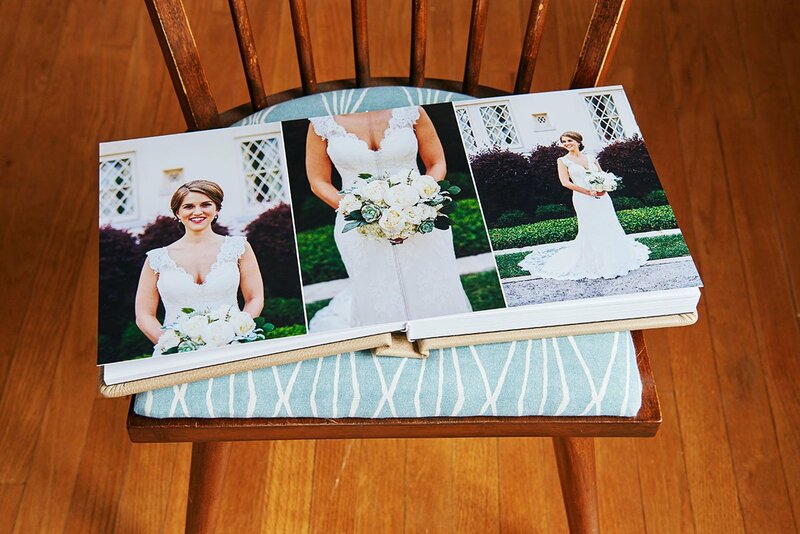 This book has a more simple design with 3-4 photos per page touching on just the highlights, the happy couple and skipping through most of the details from the day. Spreads are capped at 25 which is usually about 40 images. Because of this lower price option, no image swaps are allowed. Print your images. Make sure they have a life, otherwise they’re just digital files on a hard drive.